Today’s dynamic world demands learners to be analytical and practical in their approach. With the education system witnessing a transformation in all its aspects, be it the pedagogies, curriculum or entrance exams for higher education, it becomes exigent to hone our learners in such a manner that enables them to conquer their every quest. Thus, students of K.R. 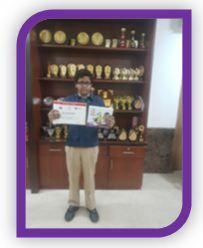 Mangalam World School, Vaishali, participated in ‘National Aptitude Challenge 2017-18’ organized by The Times NIE to assess their skills and aptitude. Through their exemplary performance our students emerged as proud winners. 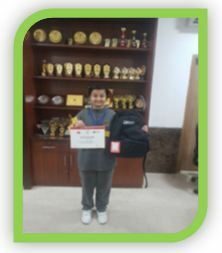 As a token of appreciation, Keya Singh of Class V was presented witha laptop bag,andR.Vignesh of Class VIII and Anshul Singh of Class X, were rewarded with tabs.Kudos to the winners!